Pics from the ASCD Conference in San Fran! I got to meet SO MANY awesome folks while in San Francisco, as well as get to see old friends. Here are some of the pictures. For those that follow me on Twitter and Facebook, I'll also be posting the other pictures I took in general of San Francisco. I had an ABSOLUTE BLAST at the conference--and I sincerely thank ASCD and everyone involved for pulling off such an awesome EVENT! Looking forward to Boston in July! 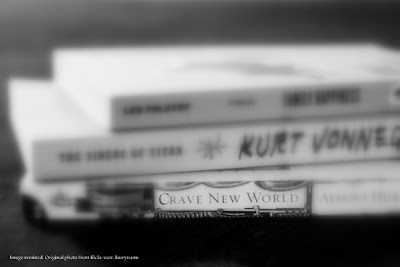 I was going to write “Brave New Tools,” but I liked the word crave. In my previous blog post, I wrote about “ravenous learners” and bringing joy and engagement back to the classroom. Getting students to crave learning in the 21st Century is a feat, a utopia, an aspiration to work toward. But I digress, a little - to December 8, 1963. On this date, Laura Huxley, the grieving widow of Aldous Huxley, author of Brave New World, sent a letter to his older brother Julian, which you can read here. It paints a poignant and touching picture of a man who may have been dismissed by history as an addict who had a couple of moments of clarity, but in reality was a thoughtful and genuinely creative human. The website that houses this letter is a recent find called “Letters of Note.” The creator of the website describes it as an attempt to gather interesting correspondence, most notably from famous folk. The moment I started reading the blog (which I now subscribe to), I had two thoughts: For one, how awesome would this be in instruction? It has several layers to uncover, opportunities for writing ideas, and opportunities to respond to what’s been written. The second thought was about my own response. I was genuinely touched by the Huxley letter, and immediately started thinking of Brave New World through a new lens of revelations about the author. My brain automatically started making connections. Those connections are what the 21st Century Student needs to be able to do, all within the context of specific skills that will create college and career ready students, not read a book, answer some questions, and watch the movie. I started thinking about the complexity of the multiple types of text that this particular blog curates, and the informational nature of what is to be found there. I thought about it in terms of interest and engagement, and during my thoughts on this topic, an article appeared in the New York Times called “Teaching to the Text Message.” This powerful article describes the value of the “short writing assignment.” The author describes ways to engage and motivate students with writing for different purposes that represent 21st Century interactions: Texts, Tweets, Comments, Wall Remarks, etc. When I’m working with teachers, I’m very careful to underscore that 21st Century instruction may or may not involve technology. It needs to involve communication, collaboration, critical thinking and creative problem solving, (from P21.org) though the reality is that the technology makes all of those skills easier to integrate. As I think about what’s in the Core for Reading, Writing, Speaking, Listening, and Language, it’s important to note that the Core document specifically says, in several places, that it is NOT defining methodology. The WAY in which a teacher chooses to teach is their business...the CORE is helping to define the WHAT in specific and measurable ways. The Huxley letter and the New York Times article started giving me ideas to transform writing instruction in terms of creativity, college and career readiness, and authentic tasks. (And knowing full well what is in the exemplar texts in the Appendices of the ELA Common Core as far as text complexity.) And while the CORE may not define the HOW, I thought it would be cool to share some new methodologies, such as the way the professor in the New York Times article is teaching, or how I personally connected (and began to think critically about connections and past learning) to the Huxley letter through a blog. What follows are some technology resources that will hopefully serve a couple of purposes. For one, they are websites where you can engage new strategies for writing in an online, collaborative, and creative way. Additionally, the services themselves might give you ideas for writing that are beyond the computer, but still let you engage the students in the 21st Century skills they need to be Career and College Ready, all the while meeting objectives in the new Core Standards. Famous Inboxes - How well would a student have to know a text to create something like this? This could be for popular characters, or could also be engaged in Science or Social Studies as an explorative activity of famous contributors to those content areas. Shelf Awareness - A website looking for book reviewers. 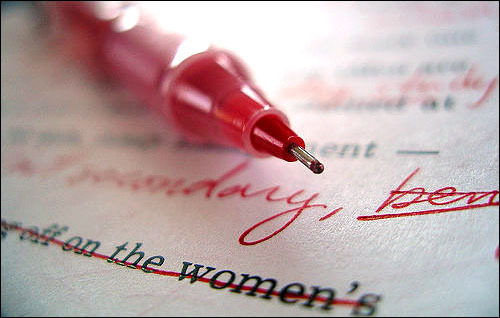 Students could potentially get paid for their writing. How’s that for authentic? How’s that for assessment? The students can start learning to measure the worth of the words they use in a completely new way. Storybird and Storyjumper - Both websites let students create books online. Both services offer a real printed product. Both services are very much into the visual component which I think breeds ideas for writing. (And is a specific component of Marzano’s Instructional Strategies - check out Chpt. 6 specifically.). Group Story - A collaboration website for students (or anyone else) to work on their writing around pictures they took and contributed to the service. Today’s Meet - A Twitter-Like tool that teachers and students can use to write and respond in the moment, or as an online “side conversation” during teaching moments. It is based on brevity, collaboration, and interaction, and may help to flesh out the nuances of instruction as well as move conversations beyond a 50 minute learning period. Novlet - (from their website:) Novlet is a web application designed to support collaborative writing of non-linear stories in any language. With Novlet you will be able to read stories written by other users, create your own ones, and choose the plot you like most from several alternatives. Novlet stories are divided in passages, text sections usually made of a few paragraphs: users can continue stories or add alternative storylines by creating their passages after existing ones. The only limit is your fantasy. More websites around writing can be found in my bookmarks HERE. Also, this list is where I’m constantly saving new things I find, so you always have an updated list of cool stuff I come across! In Aldous’ final moments, Laura urged him to go, “onward and up.” She was giving him permission to move on, to let go. As I write this now, I think that’s a good message for what we want both teachers and students to do: “let go” of some of those traditional methodologies. “Move on” to a more engaged and joyful learning environment. Look “onward and up” in the scope of being a learning leader--where learning and performance are not by accident, because we know we’ve laid an incredibly solid foundation. In this age of information, if we pique kids' interests by using "surprise" or "cryptic" elements, how much foundational knowledge will they discover on their own if they think we are "holding back" on them? There's also a lot of positivity associated with "surprises" and "hints" that would be an anchor for retention, application, and creativity. When I was still in the classroom, specifically teaching 7th grade Science, I would write cryptic words on the board or drop hints about upcoming content/lessons...but I would say no more about it until we got to that point in instruction. I remember a particular time that I wrote the word "JOGA" on the board a couple of weeks before I started a unit on Plate Tectonics. The kids asked me EVERY SINGLE DAY what it meant, and I had them so stirred up and interested by the time the teaching moment came, they were RAVENOUS LEARNERS! Recent posts of mine have been about "Ditching" this or that, and I'm thinking of writing a post on Ditching The "Way We've Always Done It." The way we've always done it doesn't work anymore. Creating an environment of joy in learning is a good start for meaningful professional growth. Maya Angelou once said, "I did then what I knew how to do. Now that I know better, I do better." I think it's a great quote about where we need to be growing in education. Also, thanks to Joan Young (@flourishingkids) on Twitter for the impetus for this blog post! I am @fisher1000 on Twitter. Happy Weekend, All! See you soon in San Francisco! Or at least ditch the current practices around grading. I work in a lot of schools, and realize that I see a continuum of practices that range from innovative and awesome to ridiculous and damaging. It’s time to put honesty back on the table. It’s time to transform all aspects of educating kids. I remember the report cards when I was young. If there was anything less than a “C” on it, I was in big trouble. But now that I think about, what did that “C” or any other grade on the report card, really mean? For me, back then, it meant that I did what I was asked to do and the grade represented where I fell on the continuum of responsibility. If it was a good grade, it meant that homework was turned in on time. It meant that work was done neatly. It meant that I was able to regurgitate the information that I had been “taught.” It meant that I could fit into the niche of success that was acceptable and appropriate at the time. It DID NOT necessarily represent that I LEARNED anything. When I had bad grades, it indicated that I didn’t do homework or classwork, or didn’t work neatly, etc. That was more than a quarter century ago. What has changed? Really, truthfully, what has changed for a large majority of teachers? I was listening to a parent recently discussing her frustration with her son’s school. Her son is a senior and may not graduate. Her son rarely does homework, but understands the content well enough to perform at a 90% and above on classroom assessments, and does even better on state level assessments. The kid has had homework issues since second grade, much of it around the fact that the kid understands the material and doesn’t have any interest in continuing to practice something he’s already got down cold. (The parent indicated that over the years, she has all but taken away every privilege in her arsenal, imposed countless punishments, and shed many tears over the homework issue.) She was at her wit’s end. Her kid can learn and perform, but has checked out of the intermediary homework step, but homework, at his school, is a considerable part of the grade. The missing homework is causing him to fail. (Yes, I know that the percentage of what homework counts as part of the grade here is ridiculous in itself.) If homework (and some classwork) were cut from the picture, and the kid’s grade (in his math class specifically) was an average of just what he scored on tests and quizzes, he would have a 91%. Academically, then, he is learning. Behaviorally, he is most definitely falling down, but unfortunately for him, his grade represents more about desired behaviors and less about the actual learning that has taken place. The grading represented a punishment. A colleague recently shared a link to a rubric that YOU CAN ACCESS HERE. I’m looking at the rubric and wondering what learning is actually taking place. I can’t tell from what this person has put together what the real learning objectives are. All I see is an opportunity to assign points to a continuum of either/or responsibilities related to a task. Also, anytime I see a rubric that is going to be tallied up for points/scores/grades a red flag goes up. But that’s what happens in schools. Either you did it, you did a portion of it, or you didn’t do it--and in the case of this rubric, a student could “DO” next to nothing and still get credit for it! How does this represent levels of proficiency? How will a student grow from a lower level to a higher one? (Will they even be given that opportunity?) This rubric doesn’t inform opportunities for further learning, it just drums up a grade. So what is the real message we’re sending? That the “DOING” is important, or the “LEARNING” is important? I wrote in a previous blog post last year that students rarely ask what has to be “learned” in order to move on, they ask what they have to “do.” This is a serious flaw in our system. A teacher asked me a few months ago what the most radical thing she could do in her classroom would be. She was trying to be provocative, trying to find a real risk to take, and I answered her with: “remove grading from your practice.” Her mouth actually fell open. She wanted to know how she would know that her students had learned anything? I asked her, honestly, if the grades she took gave her that information now. They didn’t. They largely represented “DOING” behaviors rather than actual “LEARNING” and proficiency levels. She wasn’t ready to take that big of a risk, but I still stand by what I told her. How many kids would have a more positive experience in school if some of the negative aspects of “grading” were removed? What would education look like if we specifically quantified the learning rather than the behaviors around the learning? What does that shift look like for all stakeholders--specifically, how does this transfer to parents’ understanding of proficiency levels and how kids will grow academically? In short, how can we provide evidence that learning has occurred without the stigma of grading? I wanted to share a couple of really cool ideas that I’ve heard from school districts in the last week. It seems that many people are really getting on the Curriculum 21 Train and creating new forms of instruction, assessment, and design. These teachers I’m describing here are great role models for making a 21st Century difference! They are implementing relevant, authentic, collaborative, and creative ideas that are engaging and motivating their students - launching them into an orbit beyond their boxes! The first FUN 21 idea comes from a Science Teacher in Western New York who was doing a research project on Space. The traditional mode would have been for the kids to look at teacher-selected resources, decide which ones they would use, and write a research paper around their findings. Now that their information is selected and organized, they will use their information to create comic books online, which they will then publish through a web service like Lulu.com and add the REAL book to their classroom library! (Note that some of their products will be available in the LiveBinder shortly!) Awesome, awesome idea! The second FUN 21 idea is from a school system in Montana. This school district is working on a technology and communications plan for all of their stakeholders. I was reading through the proposed plan and saw a little light shining out in one of their ideas. They are proposing “workshops” for their students AND parents: after school times for additional instruction that students and parents can CHOOSE to participate in. Part of this plan includes the district wide usage and integration of social technologies such as Skype, Twitter, Social Bookmarking, Google Docs, Edmodo, etc. This is innovative. This is valuing the instruction on a brand new level and evening the playing field for these students. In a conversation with one of the teachers in this district, there are conversations around considering which kids will be able to stay after, perhaps some weekend events, additional busing, and parent support and participation. There is a lot of heat on the Education world right, but there are also a lot of bright spots. It’s those creative and innovative folks in our school system that we really need to focus on--and replicate what they are bringing to our new educational order. It may be hard to see with what is in the news right, but we really are on the brink of an “awesome” we’ve never seen before! Kudos to these two school systems! Excellent ideas!